Achievable Fitness Services in Springwood specialises in Obstacle Course Training for both serious obstacle racers, those looking for a new challenge or just a bit of fun. As sports conditioning/strength and conditioning specialists, Achievable Fitness Services gives you the required combination of endurance, strength, flexibility, balance and mental toughness to complete these races with confidence. Our training is "Obstacle Course Specific" Including: Monkey Bars, Rope Climb, High Wall to 3m, Cable Reel, Wall Traverse, Balance Beams, Pipe and Cage Crawl, Rope Traverse, Spear Throw, Tyre Runs, Dead Ringer, Hercules Hoist, Cargo Net, Rings, Ammo Carry, Dead Ball Carry, Sand Bags and other carries etc. So if you need obstacle training in brisbanecontact Achievable Fitness Services. Session Times: Check out our Facebook group page (AFS Obstacle Racing and Training Group) to join a session. Bookings required. Other days/times available upon request. Contact us to book your own session to suit. (Minimum of 10). Burns outdoor obstacle training , South west Sydney we offer a permanent obstacle course with 17 obstacles on 2 acres of land. Learn technique , gain skills or do a timed lap (or two) and get a full body workout in the great outdoors and all while having fun. So for those people sick of training in gyms newbie's wanting to get a taste before hitting an event or the elite racer that wants that extra advantage, this is the place for you. We have a personal training studio fully equipped to take your fitness to the next level. Our coach is Spartan SGX certified and we also offer bootcamps and also do kids obstacle training. DF ELITE is Dangerously Fit’s specialised training program for mud runs and obstacle races in Sydney. These 6, 8 and 10-week training programs will prepare you both physically and mentally to help you complete Australia’s toughest obstacle races in record time. We're here to help you on your health and fitness journey with over 500 exercise demonstration videos, hundreds of articles on health, exercise, nutrition, muscle building, strength training, weight loss, toning and more! Fit Connections offers functional training for all fitness levels and caters to both obstacle racers as well as those who aren’t into mud (hard to believe they exist!). Their emphasis on variety and whole body training is designed to challenge every style of athlete and every level of fitness. But the availability of a 3.5m wall, monkey bars, rings, climbing ropes and a mountain of deadballs make this obstacle racing facility in north-side Brisbane at Brendale a playground for the obstacle racing family. Fit Connections aim is to develop a love of health and fitness in ALL its forms, so it becomes part of an everyday lifestyle. The supportive environment and encouragement to investigate a range of fitness regimes helps to set clients on this path. Casual visitors from all disciplines are always welcome. With over 13 group training sessions on offer each week, plus 1-on-1 or 2-on-1 PT, workshops, seminars and being available for group bookings for corporate and team-building events, Fit Connections gives plenty of options to TRAIN HARD, TRAIN SMART - FOR LIFE. Fit Connections are currently running a 6-week Spartan Race OCR Training starting on 18 July 2016. If you are interested, please visit their Facebook event page or get in touch today. FITNESS HABITAT was born out of the blood, sweat and tears to create a vibrant, non-threatening and inspirational training environment that celebrates the outdoors. The advantage of being undercover ensures that members can get their exercise groove on rain, hail or shine. FITNESS HABITAT is more than a fitness facility. Our venue has been specifically designed as a complete concept to instill improved health and group fitness as a lifestyle philosophy. Our diverse training sessions appeal to a broad range of age groups from teenagers through to over 50s, accommodating all fitness levels and tailored to allow you to go at your own pace depending on your needs and abilities. Malcolm Bourke runs Functional Fitness and Wellbeing in Melton West, Victoria. Malcolm is a fully qualified and insured Personal Trainer and has been training other (and training for) OCR events for the last three years. Whether you are challenging yourself with your first obstacle race or looking to improve your performance at your next event then contact Malcolm today! Malcolm is a fantastic trainer who is currently providing his training services out of Jetts Gym in Caroline Springs. So if you're in that area and you're ready to train - Malcom Bourke is the man to call! When they are not off attacking obstacle races, Goulburn Valley Martial Arts is the Goulburn Valley's leading full-time martial arts gym, offering students professional training in Muaythai (Thai Kickboxing) for men's, women's and children's self-defense. Geelong Boxing is a fitness concept for everyone seeking to improve their fitness level. We provide great exercise variety using BOXING principles and CROSSFIT style workouts. The owner Jase Lydom has taught Boxing for Fitness classes through all the major gyms in Geelong and in his own business since 2006. Throughout his life Jase has actively been involved in many sports including football, surfing, mountain biking, martial arts and his latest passion, Obstacle Racing. In 2007, Jase broke the 300m Indoor Rowing World Record for his age group/weight category in New Zealand and still currently holds that record. Jase has competed in the last 3 Worlds Toughest Mudder 24 Hour Races in USA and in 2014 won his age group division and placed 23rd overall. Recently Jase also set a new 24 Hour Tandem Indoor Rowing World Record, covering 287km in 25 hours! Jase is very passionate about health and fitness and loves passing on his expertise and knowledge to clients, so that they can benefit and reach their own personal fitness goals. Joe's Basecamp is the home to a unique strength and conditioning program supported by excellent equipment, altitude training facilities and even a bouldering wall. We are here to provide the inspiration, the training, the opportunity to live a fitter, fuller and more adventures life. Joe Bonington and his team love training people looking at competing or enjoying an outdoor or wilderness sport whether at a competitive or recreational level. But in its entirety our program is ideal for anybody looking to grow, kick goals and be a part of something.... We believe that everyone has an Everest inside them whether it be an obstacle race, trail run, a trek in Nepal or climbing Everest itself. Our members create one of the friendliest training environments whether you're just starting on your fitness goals or are a seasoned adventurer. Movement Republic is a unique fitness studio introducing an innovative and inclusive alternative to what it means to 'work out' to the Pyrmont community. Are you jaded and disillusioned with the typical "3 sets, 10 reps" of prescribed, meaningless exercises? Do you want to be able to run, jump, tumble, sit down and get up with confidence, speed and agility? Are you motivated by connecting with like-minded people in a vibrant, challenge-based environment? Ninja Academy is Perth's premier mixed movement and obstacle based training facility, featuring the biggest Ninja Warrior-style obstacle course in Australia. Ninja Academy offers Perth its first truly holistic movement training centre, with facilities for bouldering, parkour, gymnastics, functional movement training, martial arts, and more. We cater for everyone from beginner to expert in a range of fields. Our Ninja Challenge Course will test the best obstacle racers, but is also fun for beginners to try their hand. Our core Elements classes will help everyone improve their mobility, become more resistant to injury, and develop true strength and body control. Our specialist classes, like parkour and capoeira will help build both fluid and dynamic motion. We focus on skills based learning at Ninja Academy. You may get your sweat on during the classes, but you will always learn something new and find new ways to improve your performance and quality of life. By training at Ninja Academy you will join a dynamic and supportive community of people who aim to improve the lives of others, not increase the size of their bank accounts. Ninjas are famous for their resourcefulness, adaptability, dedication, and perseverance. Check out the Getting Started page to see how you can discover your true potential and become a Ninja at Ninja Academy today. We are an Australian family business, our company is based in Brisbane. Dan Andrikis is the principal personal trainer. Our team members are fully qualified to Australian standards and are all insured and registered with Fitness Australia. Dan has an impressive resume, with his background in professional athlethics he has gained a priceless amount of experience as he knows what it takes to be an elite athlete and the importance of the mental stamina required to achieve long term goals. Dan is also an obstacle race training specialist and certified Spartan SGX coach. 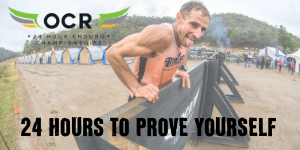 OCR Bootcamp is an OCR Conditioning and Obstacle Confidence group run by OCR enthusiasts for OCR enthusiasts. Coach Adam Stayfer is a fitness professional with an abnormal enthusiasm for OCR. He has crawled, climbed and grunted his way through a number of OCR events and is always preparing for the next one, incorporating a variety of tools, creative applications and HIIT principles. The only training he does is OCR specific. Running. Climbing. Crawling. Carrying. Repeat. He has well and truly swallowed the Spartan pill and has personally experienced the transformation. Self-improvement isn’t just something you talk about… you do. The OCRB approach is holistic, fun, functional and innovative. Take a break from the exercise machines and plasma screens. Laugh. Do the scary stuff. Get in touch. Prepare. Endure. Succeed. The Obstacle Course Racing School is located 1 hour North of Sydney at Tuggerah on the Central Coast. Head Coach Mick Gleeson is an Obstacle Racing specialist with over 3 years of experience racing and training in the Obstacle Course Racing world. Mick has been a qualified PT for over 7 years and his passion for Obstacles as an elite racer led him to design and create this incredible custom built space. Obstacle Obsession is a purpose built outdoor obstacle training centre specialising in obstacles, bootcamps, kids fitness and school holiday fun - suitable for all ages and fitness levels from 5 years to adults. Book in as an individual or bring your team to train hard and prepare for your next event. Sessions are a combination of strength, endurance, fun, balance and flexibility. We incorporate all these required skills while having fun on obstacles including tyre wall, monkey bars, rings, rope climb, tyre swings, net crawls, abseiling, cargo nets, high wall, unders and overs, balance beams, chin up bars, tyre flipping and a variety of carries. This is only stage one with many new obstacles to come. Check out the Obstacle Obsession FB page for times, events, photos and schedules. Bookings are essential into existing timetable or book a time that suits your team (minimum of 10). Remember Obstacle Obsession isn’t just for the Adults. Prepare the next generation of Obstacle Racers and Train with Obstacle Obsession. Matt Moore from One Moore Rep is a Sydney based PT and crazy obstacle racer. He delivers custom fitness programs set at your fitness level completely online through his fitness app, teaching you specific techniques while building the fitness required to get through your first or next event. Matt also runs most events on the Australian calendar each year, if you are a client with One Moore Rep, he will run the event with you, helping you over obstacles and will even film it on the GoPro and give you an edited copy to keep! Contact Matt if you are a beginner looking at getting into the sport but don’t have the confidence yet to give it a go, or if you are currently a racer looking to get a bit more competitive! Onward Fitness specialises in military fitness, emergency services fitness, obstacle racing fitness, rehabilitation, group training and personal training. They are Caboolture's first dedicated gym to obstacle racing and the services. At OzSquad we believe that exercise is a lifestyle choice; it shouldn’t be a chore. That’s why we offer fun, friendly and active personal training sessions, outdoor group fitness classes and bootcamps on the beach in Manly and elsewhere in Sydney upon request. Peak Adventure is Melbourne's one-stop-shop for adventure racing, kayaking, obstacle racing and multisport athletes. Whether you're an elite wanting to take on the world's best, or just a weekend warrior yearning for some more adrenalin in your life, Peak Adventure can help you achieve you goals and discover a healthier, happier, more adventurous 'you'. Led by Australia's most accomplished adventure athlete, Jarad Kohlar, the Peak Adventure team offers weekly group fitness sessions, private coaching, skills courses, training camps and adventure tours in kayaking, trail running, mountain-biking, adventure racing, obstacle racing and more. out how to find your own 'peak adventure'. Peninsula Obstacle Racing Course has built an incredible and challenging course, and made it available to individuals, small groups, large groups or boot camps. The course is designed to assist with training runs and skill development. Improving your ability to move through the challenges and obstacles in your “events” like the Spartan, Mudder and Stampede runs. Once every few months they also run challenge events for those who have already used the site, including time trials and other challenges. Run Jump Crawl is an obstacle based training facility with a focus on races such as Spartan, True Grit and Tough Mudder. We have had members that have accomplished completing their first race right through to our elite racers such as Krysty Davies who took out 1st solo female for True Grit Enduro 2017. We also specialise in training for the Australian Ninja Warrior with a purpose built training area that changes consistently. Providing over 30 classes a week to our members that vary between strength, cardio and obstacle training as well as yoga, kid classes, birthday parties and corporate packages it is a well rounded facility that provides many aspects to your training. Our aim is to create a community within our gym that supports and encourages each other and we can be regularly found training with our members or going for hikes and breakfast on weekends with them. Within our facility you will find signature obstacles such as warped wall, rope climb, salmon ladder, traverse wall, monkey bars and fortress. South Side Fitness is a complete commercial gym that is treated as a club house (No sales people, just members with objectives!) Try our specialty “Commando Circuit” for true Obstacle Race conditioning. We would like to introduce you to our professional and experienced Personal Training team. Each PT at South Side Fitness has been carefully recruited by expert Trainer Leigh Impey for their skills in specific areas as well as for their credentials. Each PT at South Side Fitness has been carefully recruited by expert Trainer Leigh Impey for their skills in specific areas as well as for their credentials. Many of our trainers currently train professional sporting athletes and actors at the gym, including Wayne Carey and Robert Mills, just to name a few, so your in good company. Making new friends and training partners whilst learning new ways to get fit, lean and strong with one of our team workouts or fitness classes. All of our classes are run by trained professionals who are experts in their chosen area's of fitness. At South Side Fitness we encourage all of our members to join teams and to try out new things so why not take a Muay Thai class with our Muay thai champion trainer or learn some relaxation and stretching techniques from our expert yoga trainer. Click the classes below to learn more. The Compound Training is a new outdoor training and obstacle course located on the Mornington Peninsula. Offering long and short session times for the obstacle course, we can help you train no matter what event you've got coming up! With night sessions for the enduro racers and extra long Beast and Ultra Beast sessions. Catering for the first timer and expert obstacle racer. During the week, we have Ninja Warrior Training sessions that are all about learning how to attack different types of advanced obstacles in a fun environment. We can help beginners to well advanced athletes who need a real upper body challenge. Located in Shepparton, VIPT Lifestyle offer indoor/outdoor group personal training, weight loss, strength training, interval training, mobility training, motivation and nutritional guidance. They are closely tied to the local Dirty Fighters obstacle racing club and can get you ready for any obstacle race. If you are an Australian personal trainer who can offer obstacle racers something, your business should be listed on here! Contact us today to let us know about you!